KERALA AGENCY FOR RESEARCH AND RURAL DEVELOPMENT is located in Nilambur Kerala . KERALA AGENCY FOR RESEARCH AND RURAL DEVELOPMENT is registered as a Society at NILAMBUR of state Kerala with Ngo unique registration ID 'KL/2009/0008687' . 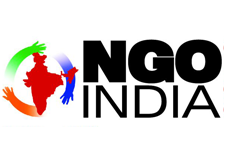 The NGO registration is done by Registrar of Societies with registration number 533/2001 on the date of 01-08-2001, Its parent ORganaisation is Society For Promotion of Youth and Masses. The Chairman of KERALA AGENCY FOR RESEARCH AND RURAL DEVELOPMENT is ARYADAN SHOUKATH and Chief functionary officer is ARYADAN SHOUKATH. we helped Nilambur grama panchayath to became Indias first complete primary educated village through Jyothirgamaya Clean Village we have a major role in making Nilambur as a clean village and it got Nirmal Gramapuraskar in 2008.